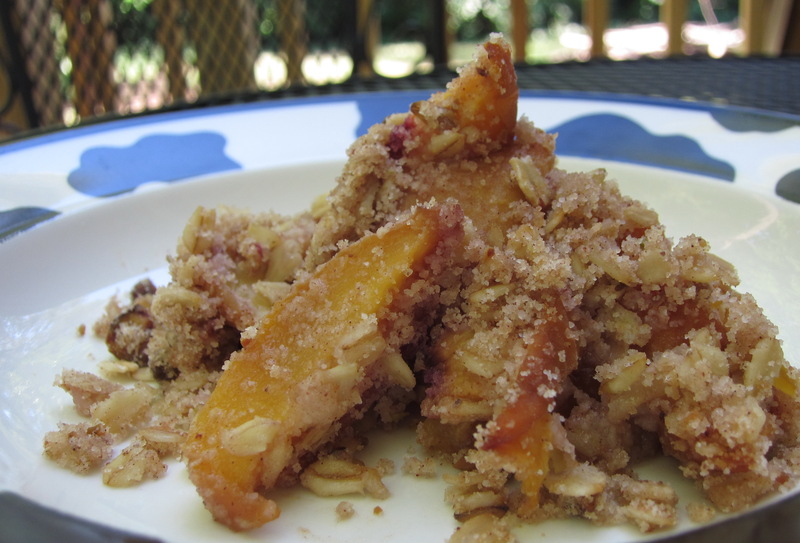 Slice peaches, wipe 9” or 12” pie dish with coconut oil, and preheat oven to 350o. 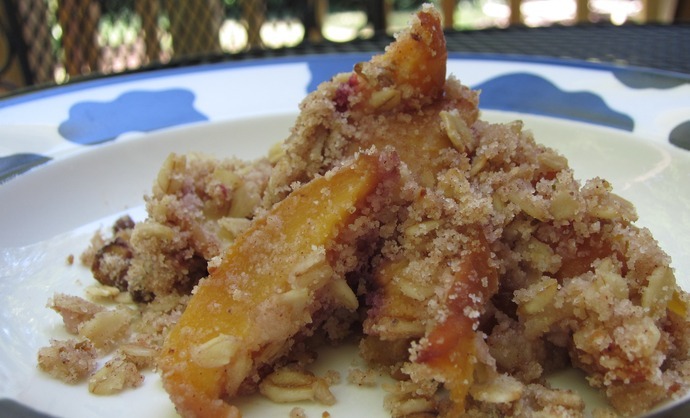 Mix the peach slices with honey and place in bottom of pie dish. In a large bowl mix oats, flour, salt, cinnamon and maple sugar granules. Drop the coconut oil onto mix and with your hands incorporate to a crumbly texture. Mix in pistachios. Spread out over peaches evenly. Cover with aluminum foil and bake for 30 minutes. Remove foil and continue to bake for about 35-40 more minutes. Top will be golden and peaches bubbly.